I have never thought that I would venture into making baked mooncakes. I chickened out after going through the ingredient list for making traditional baked mooncakes ^_^"
I was glad that I managed to get hold of this "Y3K cookbook, Mooncakes". Besides the snowskin mooncakes, I was happy to learn that I could actually try my hand at making mooncakes with flaky pastry! I nailed down this 'Apple Allure' flaky pastry mooncake recipe since I had all the ingredients on hand. Making the doughs was a breeze, but I had a hard time trying to figure out the correct way of wrapping/rolling the water dough with the coloured oil dough. Even though there are several photos to illustrate the steps, certain parts of the instructions is quite vague. In the end, I went about making it with my gut feel. I am not sure whether I did it right as the finished mooncakes appeared slightly different from those illustrated in the cookbook. These tiny morsels are no bigger than 2", my tween is able to pop one into his mouth without getting choked. I used ready-made pandan lotus paste but I think it would taste better with yam paste. Since this is my maiden attempt, I am rather satisfied with the taste and texture. On the other hand, I think I could have done better. I probably didn't roll out the dough thin enough so the skin is not as flaky and definitely not comparable to those store-bought Teochew style mooncakes. Nevertheless, I felt a great sense of achievements when I left them to cool on the rack. Filling: Mix pandan lotus paste with melon seeds. Divide into 30g portions, shape into rounds and set aside. Water Dough: sieve together flour and icing sugar into a mixing bowl. Rub in shortening with fingertips until the mixture becomes crumbly. Add in the water and mix to form a soft dough. Cover with cling wrap and set aside. Oil Dough: Sieve plain flour into a mixing bowl. Add shortening and mix with hand to form a soft dough. Divide oil dough into 3 portions. Add food colourings to each dough and knead to form pink, yellow and green doughs. Roll each dough into a square, about 5" by 5". Roll the water dough into a square about 10" by 10". Place the oil doughs in the centre of the water dough. Start with pink, then place yellow dough over the pink dough, overlapping end bit of pink dough. Place green dough over the yellow dough, overlapping end bit of yellow dough. Refer photo no. 1 below. Fold both sides of the water dough over the oil doughs. Cover and let rest for 20mins. Refer photo no. 2 and 3. Flatten all sides and roll out the dough. Turn over and roll flat. Starting with the pink side of the dough(refer photo no. 4 above), roll up Swiss roll style to form a cylindrical log. Cut off excess parts from both ends and keep aside. Cut the dough into 16 equal portions. For each portion, flatten to form a round disc. Roll to about 5cm in diameter. Wrap the filling with the dough, seal the seams and place it downwards on a baking tray lined with parchment paper. Add some green food colouring to the excess dough in step 7 and use it to make leaves. With the pointed end of a chopstick, press the top of the dough to create a slight dent that resembles the surface of an apple. Place the leaves over the dents. Bake at 180degC for 15-20 mins until baked through but not golden. As the finished mooncake will be very soft, let cool on the baking tray for about 5 ~ 10mins before transferring to a wire rack. Let cool completely. Recipe source: adapted from Y3K cookbook - Mooncake. They are very awesome HHB! I'll make this next year, fingers crossed! they're amazing! so pretty and cute~~ i have to try these out^^ thanks for sharing. These and your previous mooncake post both look great! Definitely going to bookmark these for future reference. These apple mooncake really look cute! I've not got the 'guts' to try out baked mooncakes yet. Gotta wait for another year, perhaps? Oh my! These flaky mooncakes look good! I saw that edition of Y3K at bookstores, too! But, hesitated to get it LOL! I hope I can make some of these next year ... Thanks for inspiring me to do so. This are so jumping out at me!! I have never had a mooncake but you certainly have made me want to try one! wah, you really done a good job, Happy Mid-Autumn Festival to you too. Just too cute to eat! So so pretty... much nicer than those from 5* hotels!! U know what, after 3 months, I still couldn't bake a soft bread, my bread is hard as rock the next day and I still couldn't figure out why. I think I will never gonna dare to try this out. i love the colours! they are soooo pretty. love how they resemble fruits! havent tried making mooncakes before. but you make me want to make some next year! This looks amazing... never tasted a mooncake before but these look really good. I saw apple lookalike mooncake sold in the market and urs look equally good. Thumb up!! 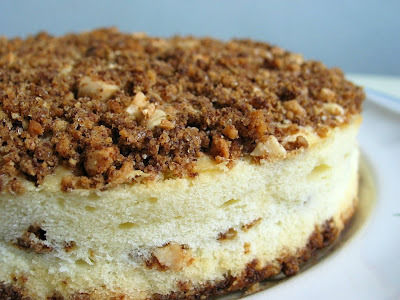 (I hope I can try making this 'apple mookcake' next year). hi hi.. first time here.. was introduced to your blog by a colleague of mine. since then fall in love to your blog, love the beautiful pictures you taken, and admire your wonderful baking skill. and may i know what (brand/type)of camera are you using? Awesome is how I would describe them, may try it out. Thanks for sharing. Hi, awesome instruction. A couple of question: Did you use liquid food colouring, or the gel form? And did yo use some form of a pan / tray for each mooncake to bake in? How many mooncakes did this recipe yield, and could I double it up? Thanks heaps. Hi Jovy, I used liquid food colouring. I baked the mooncake on a baking tray line with parchment paper. This recipe yields 16. hope this helps.